Hector Corchado Gonzalez, 81, of Medway died Tuesday, March 19, 2019 at Medway Country Manor in Medway following a long illness. He leaves his wife of 47 years Ana, his 3 sisters, son Hector, and two daughters Yuria + Sahara, 8 grandchildren, 3 great grandchildren and many longtime friends. 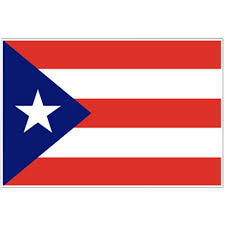 Born and raised in Isabela Puerto Rico, son of Rosauro and Julia Corchado. In his early years Hector helped work the family farm and learned to fix cars. He left Puerto Rico as a young man for the U.S. he worked hard and forged many solid friendships along the way. Hector met Ana in the late 1960's and together they created a family. Hector was a loving father and good provider who always had his family's best interests at heart. Hector will be greatly missed by his family and many friends. A memorial service will be held at Immaculate Conception Church 133 Beach Street Revere, MA 02151 on Saturday March 30 @ 10:30 am.